How Do Greek Americans Celebrate Thanksgiving? 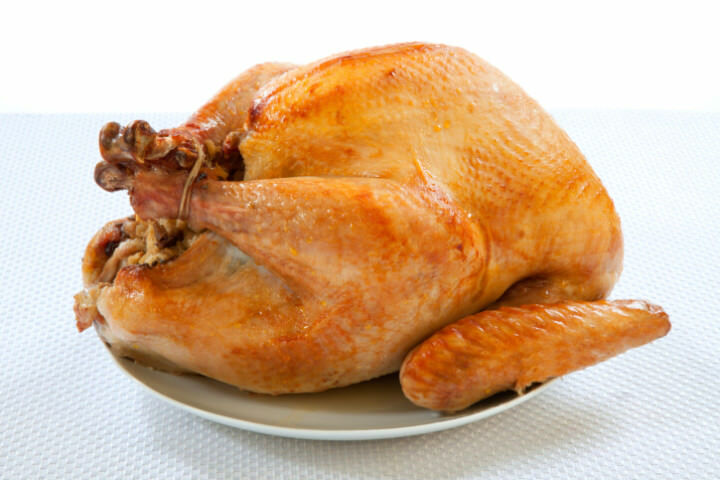 Written by GreekBoston.com in Greek Cooking Comments Off on How Do Greek Americans Celebrate Thanksgiving? We did have a roasted turkey, but if we thought we needed more meat than what a turkey would provide, we usually didn’t serve ham, we’d serve lamb! Even though pork is a popular meat in Greece, and it wasn’t as beloved as lamb. I’ve even hard of Greek families forgoing the turkey all together and eating roasted lamb instead! The point wasn’t to eat turkey; it was to be thankful to have such a great meal. Lamb was, more often than not, the crowd favorite. When I was a child, I had no idea that stuffing traditionally used bread. I always thought that it involved rice, ground meat, chestnuts, and delicately seasoned with some allspice. It wasn’t until Middle School that I learned that “normal” stuffing was actually made from bread cubes. My family would even stuff the turkey with this creation! 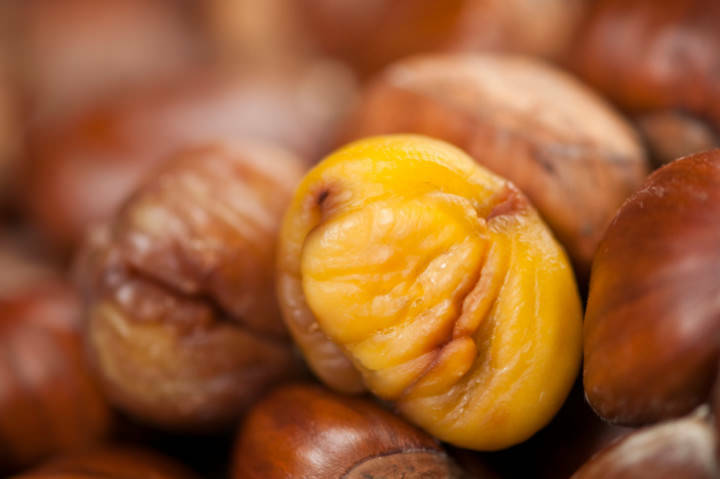 I always knew that Thanksgiving was arriving when the whole family would gather to peel all those roasted chestnuts. Even though we loved sides such as mashed potatoes and squash, Thanksgiving dinner wouldn’t be complete without Kalamata olives, imported feta cheese, and a big Greek salad! It seems that even when we tried to adapt to the American culture, we always needed to bring our beloved foods to the table. Besides, it simply wasn’t mealtime without plenty of fresh salad! Did you serve pie at Thanksgiving, or did you serve traditional Greek desserts? I didn’t have my first piece of apple pie until I was much older, and even now, I much prefer a nice piece of baklava to a slice of apple pie. 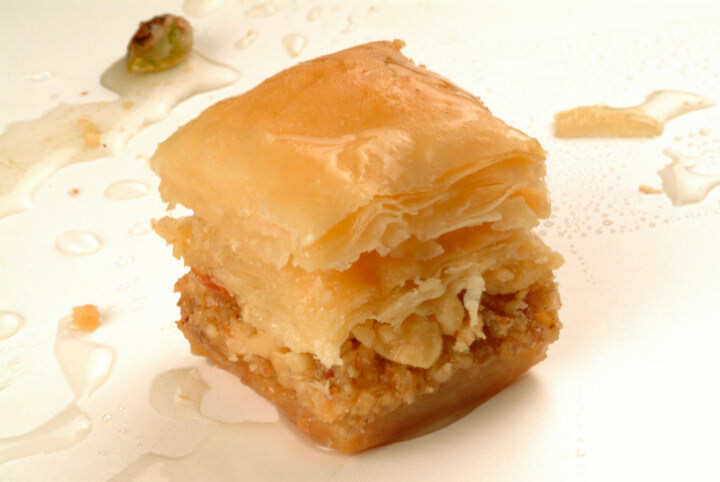 There are plenty of Greek pastries that are delicious during Thanksgiving, such as milopita, or apple cake, and kolikithopita, which is made with squash. Besides, a cup of Greek coffee really wouldn’t be complete without koulourakia? 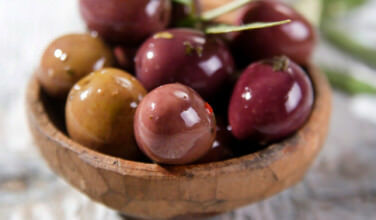 In many ways, Thanksgiving is a holiday that is perfectly aligned with the Greek way of life. Family, food, and a thankful heart are three things that are at the center of life. Therefore, it has been an easy holiday for Greek immigrants to adopt. On the other hand, it’s much easier to adopt them when familiar foods are on the dinner table. Each family has their own traditions, and for Greek-Americans, these traditions usually take traditional elements from American cuisine and merge them with their beloved Greek favorites. 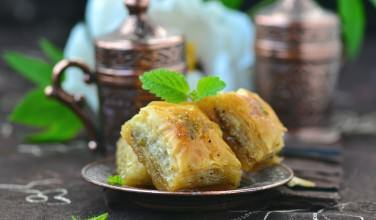 I can’t even remember the last time I didn’t have a piece of baklava for dessert! 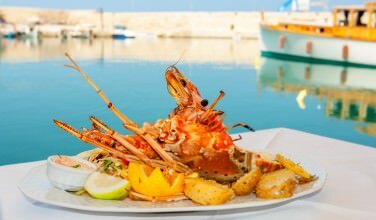 Seafood is a Staple in Greek Cuisine! 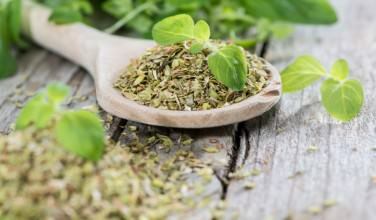 Are You Cooking With Real Greek Oregano?